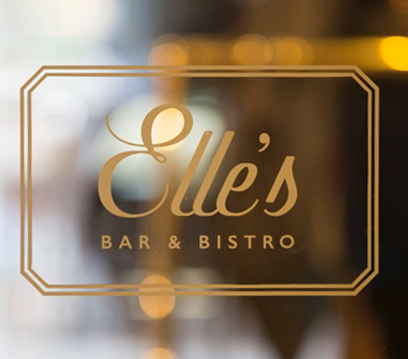 Wonderful staff in a beautiful decor and the food has been excellent on both occasions. The interiors are lovely but the lobby is a little drafty and cold as people keep coming and going through the front door. The staff are incredibly helpful and attentive and I cannot fault them on anything. They gave us extra sandwiches as my friend was still hungry and we brought some home as well. Overall, we had a really relaxing and pleasant experience and by the end of our afternoon tea we were ready to nap on the couches! Lovely lunch with great service and delicious food! Thanks! We booked afternoon tea for my mum's birthday and it was a really lovely experience. One of our guests had a special dietary request of no eggs and Craig the supervisor made every effort to accommodate her, even phoning in advance to offer that she could order form lunch menu instead as there was more suitable options there and he also offered a kids menu also for our 2 year old guest. The chef made special egg free sandwiches and deserts for our guest which was very much appreciated and our little guest was provided with crayons and paper to do some colouring so we could enjoy our food. The tea selection was very good with plenty of choices and no extra charge for those who wanted a coffee instead. Overall very good value in a beautifully decorated relaxed, clean environment with excellent service. Would definitely return and recommend! Excellent service from the staff. The decor is beautiful. Lovely place to eat. The food was perfect. We had a celiac in our group of 4 and I was given advanced notice of what would be on offer for a celiac friendly afternoon tea. The team were absolutely amazing with accommodating us in such a lovely way. We really enjoyed our day - thank you! Staff were lovely but atmosphere very poor. Service slow and it wasn’t busy. Pity because it could be a super spot!! 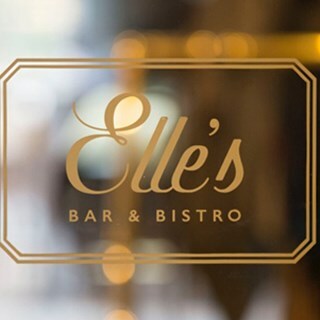 I had lunch in Elle's Yesterday. Form the minute we arrived into the Bar, to the impeccable service, it was a great experience. Food, Service, Staff and even the Christmas Decorations were great. Would highly recommend it. Great food, great service, lovely location. Would highly recommend. Service was overall professional and friendly (although, upon arrival, I was greeted with ‘oh yes you’re late’, despite having called in advance). Food was average, wine was ok only but staff were willing to let us try different options on the wine list. Great choice of lunch menu. food was excellent. Not much choice for dessert though. I tried to email after making my initial booking as I needed to change the numbers. No-one responded. And the email didn't appear to make it to the Bistro as the girl that greeted us wasn't aware of the addition to the group. The Charcuterie board was delicious. Lots on it - enough for 3 or 4 people to nibble on . We had the house white which was really light and tasty and the service was excellent. Very impressed with our first visit and we’ll be back soon. As we were the only diners for lunch the atmosphere was quiet but a very pleasant retreat on what was a busy match day in the city. Cocktails on the sunny terrace were a lovely way to finish our day!